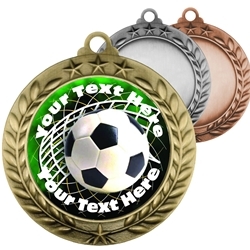 2.75" Soccer Insert Medals come attached to a 32" ribbon in your choice of color. Medals come in gold, silver, or bronze and your choice of antique or bright finish. Customize your medals with up to two lines of your text! Line 1 will be on the top and line 2 will be on the bottom. We will send you a proof for your approval prior to production. Minimum 25 pieces required. 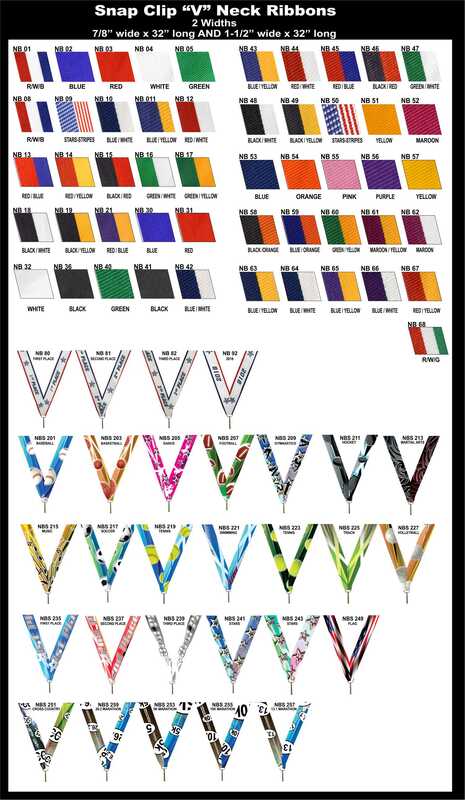 Discount pricing is available for combined of medal colors and finishes.